An event, a place, dates: what accommodation solutions are available for the attendees? 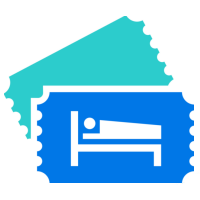 Stay22 checks the main platforms such as Booking.com, AirBnB, Expedia or Hotels.com and offers visitors the best accommodations on a map focused on the event. In the SiteW editor, drag the Map block on a page and choose the ‘Hotels & AirBnb’ type of map.